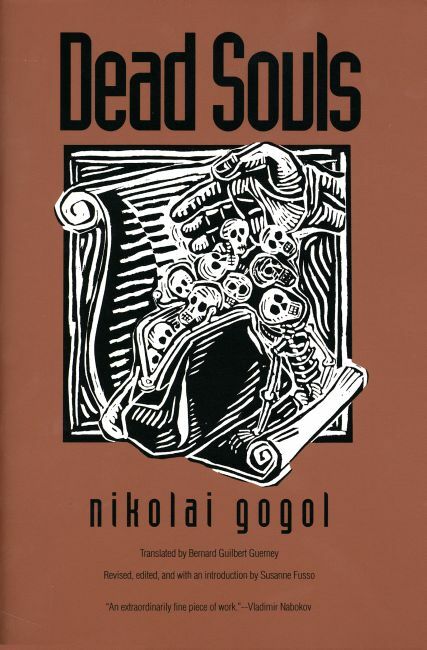 Nikolai Gogol’s Dead Souls first gained fame as a caustic satire of Russian society when it was published in 1842. Today’s readers will value it as a mesmerizing phantasmagoria of human vice, mendacity, and mediocrity. The title refers to a defect in Russian law that frequently required the owners of serfs (or “souls”) to pay taxes on their human property even after the serfs have died. The story follows Chichikov, a small-time confidence man, as he buys these souls at steep discounts, saving the owners from the taxes and gaining for himself fraudulent collateral he can use in subsequent schemes. Gogol offers a parade of vividly detailed human caricatures described in language which is baroque, grotesque, exuberant, and exact. Fans of Vladimir Nabokov will find much that is familiar in Gogol’s prose. I enjoyed the translation of Dead Souls by Bernard Guilbert Guerney which Nabokov recommended .